Download TNPSC Annual Planner – The Tamil Nadu Public Service Commission(TNPSC) planning to conduct exams to fill candidates for various posts and that will be notified by the government for 2019-2020. Now, TNPSC has published Annual Recruitment Planner 2019 for the year 2019 to 2020. 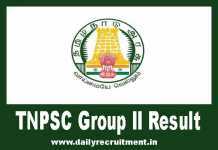 Here we given the details of Upcoming TNPSC exams and Recruitment. 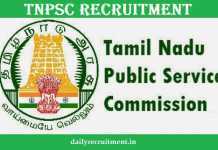 If you are Looking for Tamil Nadu Public Service Commission (TNPSC) Annual planner 2019-2020. In this Post, We have shared TNPSC Annual planner 2019 to 2020 pdf for Upcoming Exams for Various Vacancies Notification, Application Form Date, TNPSC Annual Planner Job Vacancy 2019, TNPSC Annual Planner Recruitment 2019 Link, Latest TNPSC Recruitment 2019. We have given a link at the bottom of the page for TNPSC Annual Planner 2019-2020 PDF Download. Technical Assistant in Air Conditioning & Gas Plant in T.N. Forensic Science Department 28.09.2018 05.01.2019 F.N. & A.N. Assistant Jailor in Prison Department 08.10.2018 06.01.2019 F.N. & A.N. Lecturer in Statistics 12.10.2018 12.01.2019 F.N. & A.N. Assistant Director of Horticulture & Horticultural Officer 25.10.2018 12.01.2019 F.N. & A.N., 13.01.2019 F.N. Junior Inspector of Co-Operative Societies 23.10.2018 27.01.2019 F.N. Draughtsman Grade – III in Town & Country Planning 30.10.2018 03.02.2019 F.N & A.N. Executive Officer Grade – III in HR & CE Department 02.11.2018 16.02.2019 F.N & A.N. Executive Officer Grade – IV in HR & CE Department 02.11.2018 17.02.2019 F.N & A.N. Librarian in Various Departments in Various Services / Industries & Commerce, Agriculture, Public Libraries and Legislative Assembly Secretariat 14.11.2018 23.02.2019 F.N. & A.N. Librarian in Archaeology in Archaeology Department in General Subordinate Service 16.11.2018 24.02.2019 F.N. & A.N. District Educational Officer in T.N. School Educational Service 10.12.2018 02.03.2019 F.N. Cost Assistant in T.N. Ministerial subordinate Service 04.12.2018 02.03.2019 F.N & A.N. Store Keeper in T.N. Forensic Science Subordinate Service 19.12.2018 24.03.2019 F.N. & A.N. Assistant Agriculture Officer in T.N. Agricultural Subordinate Service 27.12.2018 07.04.2019 F.N. & A.N. Hostel Superintendent in T.N. Employment and Training Subordinate Service 02.01.2019 27.04.2018 F.N. & A.N. Junior Technical Assistant/ Senior Technical Assistant in T.N. Handlooms and Textiles Subordinate Service 07.01.2019 20.04.2019 F.N. & A.N. Sub-Inspector of Fisheries in T.N. Fisheries Subordinate Service 10.01.2019 04.05.2019 F.N. & A.N. Assistant System Engineer & Assistant System Analysis in T.N. Information Technology Service 22.01.2019 07.04.2019 F.N. & A.N. Curator in Museum Shortfall Vacancies 24.01.2019 19.05.2019 F.N. & A.N. Accounts Officer in T.N. Treasuries & Accounts Service Shortfall vacancies 28.01.2019 05.05.2019 F.N. & A.N. Select link of Annual Planner to download. In notice bar click on Annual Planner 2019-20. The examination schedule PDF available on your device screen. Take a print out of TNPSC Exam Planner 2019 to 2020. Number of posting in group 1 will increase or not? If so homecoming will it be?